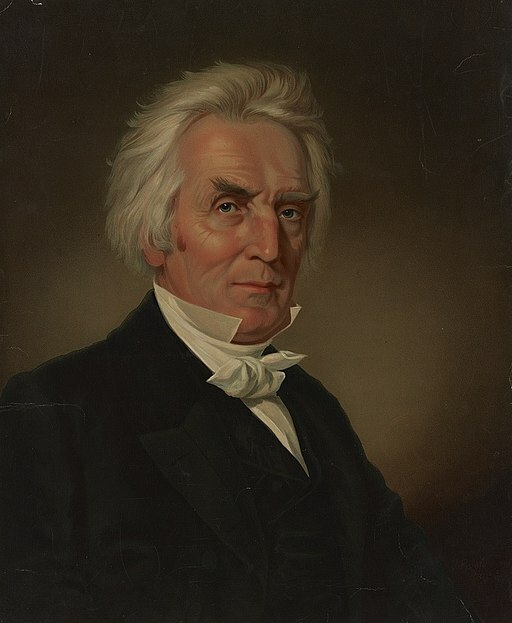 Alexander Campbell was an influential pastor in 19th century. He came up with an interesting argument for the existence of God. I saw it nicely analyzed by Caleb Clanton. Campbell argues that human beings must have obtained the concept of God at some time in the past. But what best explains the cause of our having such a concept? There are five plausible options. First, the idea of God is innate to human minds. We never really obtained the concept; it was always within us. Second, the concept of God was acquired through direct experience of God. Third, the concept of God was arrived at by experience and reflection. Fourth, the concept of God is a product of human imagination. Finally, the concept of God was revealed to human beings by a being that has the ability to reveal concepts to human beings. Campbell argues that the best explanation for the concept of God in human minds is that God revealed it to us. He argues that all the other options have serious flaws. First, Campbell agrees with John Locke on innate ideas. Locke argued that human beings are born with minds that are ‘blank slates.’ Locke argued that it does not follow from knowledge being universal that it must be innate. It may just be that there are some truths that are more obvious than others. Moreover, children do not appear to have any innate knowledge of true propositions because they do not understand them. If one replies that they have dispositional knowledge of those propositions, but not occurrent knowledge, then Locke replies that this new definition of innate implies that all propositions we come to know are innately known. One might reply that innate knowledge is knowledge of how to do something, an ability. Locke replies that having an ability does not entail knowledge any more than having the ability to see entails perceiving anything. Second, Campbell argues that if we gain knowledge through experience, then it is not possible to gain the concept of God unless God appears to our senses. At this point Campbell makes a general point about what humans experience in the world. Objects of sensations are not spiritual objects. Thus, without an act of God in revealing himself via objects of sensations, we could not acquire the concept of God. Third, If our experience of the world is not sufficient to produce a concept of God, then we could not acquire it by reflecting on our experience. This is also true of the imagination. If experience does not provide the raw materials for the concept of God and the imagination operates only with the materials it is given, then the imagination could not produce the concept of God. With one's imagination, one might be able to modify what is experienced but not conceive of something quite outside it. Campbell argues that the only plausible explanation we are left with is that God must act to reveal himself if human beings are to acquire a concept of God. And, if so, then if human beings have a concept of God, then God exists. Since we do indeed have a concept of God, Campbell argues, then God exists. Presumably, Campbell has in mind incidents in which God appears to human beings in a manner for which their intellectual equipment was designed. Clearly, this is how the Bible portrays many human experiences of God. God is said to take human form in the garden. At least, he is said to "walk" in the garden. Abraham is confronted by the Lord in human form. Moses hears the voice of God in a burning bush. And Paul confronts a bright light and an audible voice on the road to Damascus. Of course, there are many other incidents in which we are not told the exact nature of the human experience of God. Prophets are told what to say, but we do not know whether those 'tellings' are audible or involve any means by which the natural senses of humans are abel to receive. The point presumably is that the concept of God is acquired by humans through God using experienceable means. Once humans have this experience, they have acquired the concept. There are a number of objections one might pose to Campbell's argument. The most promising lines of attack are to show how one might obtain the concept of God via one of Campbell's discarded means. Why not defend a nativist position? Alternatively, why not say that we can experience God through experience? William Alston argues that this is precisely what we do when we join a community of people who are open to experiencing divine reality. Let's assume that Campbell is right: we can only acquire the concept of God from God himself as he reveals himself through sensible means. Let's say that God took on a form that humans can experience. Let's say that he did this in the garden. Adam and Eve experienced God first hand and God told them about himself. He gave them sufficient information about himself so that they acquired the concept of God that we still have today. If so, then what follows? If the concept of God can be revealed in this way, then either God's talk about himself is sufficient for humans to acquire a concept of God, or God demonstrated his attributes in such a way that humans could piece together a concept, or somehow both talk and action are sufficient for the task. If talk on its own is sufficient, then terms that do not apply to experienceable entities can convey meaningful content. God could talk about himself and use terms like 'immutability', 'necessary existence', and 'timelessness' and be sure that his human interlocutors would gain those concepts merely through hearing those words. Although Adam and Eve would not be able to experience 'immutability' they would know what it was when God said it. Analogously, we know what atoms are without ever experiencing them. The problem with this is that, according to those who follow in the Lockean tradition, introducing concepts via language relies on concepts already present in the mind of the hearer. Indeed, this is how empiricism works - theoretical terms like 'atom' have content precisely because they are either analogous to experienceable terms like 'billiard ball' or because they are defined by an observable operation. If concepts are innate, then God's use of the term, 'immutable' would have content, but Campbell's argument has already rejected nativism. A more contemporary view might help Campbell's argument. Linguistic nominalists hold that concepts are identical to linguistic expressions. This is a far cry from Locke's view. Locke held that concepts are mental items analogous to images. The trouble with this view is that if true then the name 'God' and the predicate 'immutable' are sufficient for concept acquisition. It is far from clear that they are. If, on the other hand, God is able to demonstrate his attributes in such a way that the first humans could gain concepts of his attributes, then God would have to give Adam and Eve first hand experiences of those attributes. However, it is difficult to imagine how this would go. Do we think God took the first humans to a timeless place to show them timelessness or to a changeless place to show them immutability? One might reply that God merely has to show them an instance of power and extrapolate up to maximal power. Perhaps God is able to show humans timelessness by pointing at time or changelessness by saying that it is the opposite of change. The problem is that we could do this without him showing it to us. We gain concepts like this all the time without the need for divine revelation. If neither conversation nor demonstration is sufficient (or possible) for God to reveal a concept of himself to human beings, then what? (4) God is omnipresent. His being is present at every point. The idea is that the mind of God is able to reveal the concept of God since one of the concepts in the mind of God is the concept of God. God causes human minds to grasp the concept of God by his presence at the same point as the mind of human beings. Such a view does not entail nativism since God determines what concept he causes to be grasped by human minds. Furthermore, such a view explains the similarity of concepts across human minds. If so, then Campbell's argument has a substantive defense of the last premise--that God causes human beings to have a concept of God. The defense can retain its Lockean view of concepts as mental events and avoids an appeal to nativism. Much of the analysis of Campbell's argument I acquired from J. Caleb Clanton, “Alexander Campbell’s Revealed-Idea Argument for the Existence of God” Restoration Quarterly 54 (2012): 105–124. Apparently he also has a book on Campbell.